One of Leigh's central arguments for the proposition that elements of the intelligence services were plotting against Wilson is that in August 1975, Wilson confronted first Maurice Oldfield, head of MI6, and then Michael Hanley, head of MI5, and the two service chiefs admitted as much. Oldfield gave an account of the first conversation to the journalist Chapman Pincher and to MI6 officer Anthony Cavendish. Wilson discussed both conversations with journalist Barrie Penrose, the latter with Pincher as well. Leigh also briefly discusses the evidence of Colin Wallace, the Army Information Officer from Northern Ireland who revealed the existence of MI5's Clockwork Orange smear campaign. This is a powerful body of evidence of the existence of a plot that neither MI5 nor the British Government has admitted to this day. 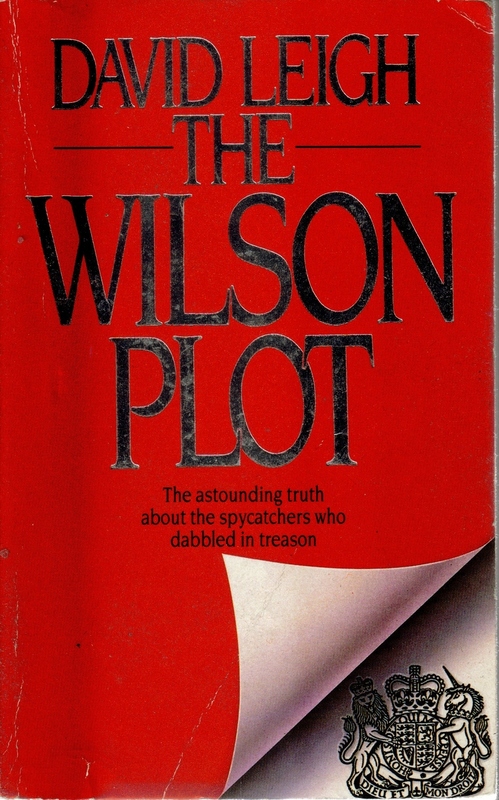 More concise than the encyclopaedic Smear, by Ramsay and Dorril, for which it is an important source, The Wilson Plot is essential reading for anyone interested in this murky period of British political history.